$4 million of the $7 million Achieving Dreams Campaign goal is raising funds to support exciting campus redevelopment plans. 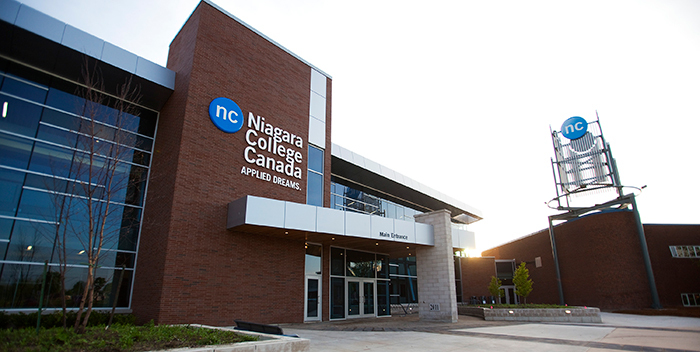 Campus Redevelopment at Niagara College will provide new and expanded facilities at the Welland and Niagara-on-the-Lake campuses to support growth, enhance the student experience, and expand Niagara College’s research and innovation capabilities. The first phase of the project includes the Advanced Manufacturing Innovation Centre at the Welland campus, and an expansion of the Canadian Food & Wine Institute at the Niagara-on-the-Lake campus. For the latest construction updates visit niagaracollege.ca/campusredevelopment.